There were some 28.500 plug-ins sold last month, which is the third best month of the year and represents a 38% increase over the same month last year, with YTD sales nearing 260.000 units with two months to go, it won't be a surprise if the 300k barrier would be broken this year. To put that number in context, last year, the total sales number was 212.508, not bad, eh? The podium places were deeply cemented over the year, so there's not much to talk about there (Although, the Nissan Leaf lost another point in share...), from the Fourth Place below is where the fun starts, the ever-improving #8 BYD Qin (1.702 units, tenth consecutive record), distanced itself from the suddenly-slow selling Fusion Energi. There was also a position change in the bottom place of the ranking, with the i-rejuvenated Renault Zoe (1.324 units) displaced the slower-selling Ford C-Max Energi (658 units) from the #10 spot. Segmenting the market by car sizes and types, you can see the Top 3 dominating their segments (C - Leaf; SUV - Outlander; E - Model S), the BMW i3 comfortable in the B-Segment leadership and the Ford Fusion also at ease on the D-Segment. But, what about the other less visible segments? Here's how they stand, in the A-Segment, the VW e-Up! is holding on to the leadership, despite the Smart Fortwo ED staying just 123 units behind and gaining ground (569 vs 464 in October), MPV's are Ford C-Max Energi territory, just like the LCV's are Renault's (Kangoo ZE), in the Pick-Up Truck segment, the Mitsu Minicab Miev Truck continues to soldier on alone, while in the Coupe/Sports Car niche, the Cadillac ELR (1.073 units) is losing ground to the BMW i8 every passing month and should see the german car pass it like a bullet somewhere in the months left to the year end. Toyota has been under-performing these last months, and Renault is having a Renaissance, being the #5 best selling brand in October, with 1.957 units, its best result of the year so far, let's see if the Battery Included policy will continue to improve the french brand results. 1 - Will Tesla or Kandi surprise? 2 - Will the Outlander PHEV post a year best result? 4 - ...And can Kandi reach Toyota in the manufacturers ranking? 3. Australia - Plug-ins are finding a hostile environment here, with slow sales that this year have been even slower than usual, with the EV Share going down from 0,027% to 0,021%. Will the incoming Tesla and BMW i cars do something to change this? 5. Spain - Sales were also on the downside here during the first half of the year, but the second semester brought the three best sales months of the year and now it looks that the EV Share will recover the slight delay it has regarding last year (0,163 in '14 vs 0,176% in '13). 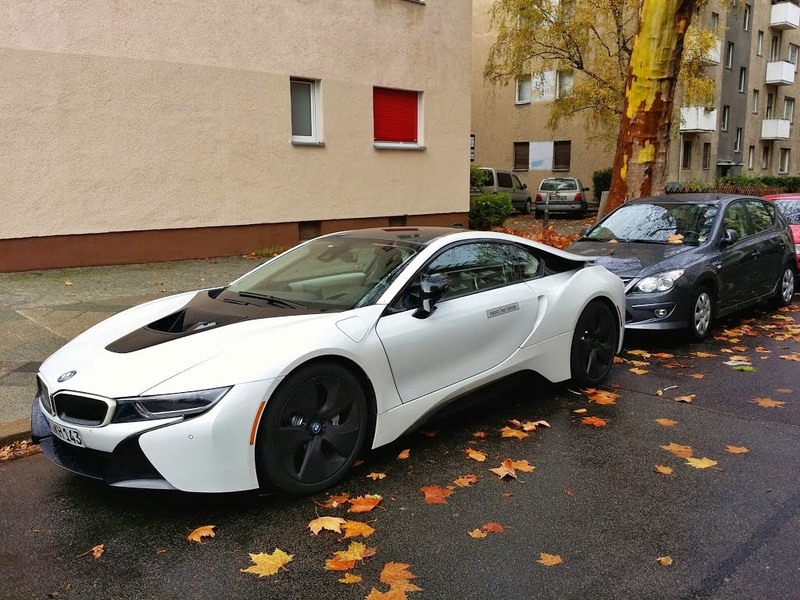 If Elon Musk is right by saying that the real competition of the Tesla Model S isn't other plug-ins, but the ICE BMW 5-Series, Merc E-Class, Audi A6 among others, then the true competition for the BMW i8 aren't other EV's, because it has no real competitors there (Only the ELR can be considered as such), but other ICE six-figured sports cars, and in that category we have the undisputed leader of them all for year and years, the Porsche 911. Can the i8 even so tickle the 911 on the sales front? In the Top Markets, there were a few surprises, some good (UK and China continue to trail the best expectations), others not so good (The US demand is softening). The EV Shares continue to grow in general, with China now at 0,35% vs 0,33% last month, and the UK at 0,46% vs 0,42% the month before, but Japan is also on positive numbers, reaching closer and closer to the 1% barrier (It's now at 0,98%). Looking at the monthly models ranking of each country, the Nissan Leaf was Best Seller in Norway, Japan and the US, while the Outlander PHEV, took the UK title from Nissan (A shift of consumers taste? ), adding it to the Dutch market trophy. The Smart was again Best Seller in Germany (What's up with the i3 and e-Golf? ), while the Zoe (Or is it i-Zoe?) is back to form in France. Finally, in China the ever-improving BYD Qin has beaten the Kandi EV. 1 - Will Tesla surprise us with record numbers? In which market(s)? 2 - Who will be #1 in Norway? And in Germany? 3 - Will the e-Golf finally start to collect #1's? This one is coming to back-up Nissan's race with Mitsubishi. After record sales in September, the Japanese went back to its usual self, with 2.573 units sold last month, pulling the EV Share up again to 0,98% (Will we see this market end the year at 1%?). Looking at the models ranking, the top two models had different performances, with the Leaf again #1 (Fourth in a row), with an average result (1.162 units), while the Mitsu Outlander PHEV only registered 538 units, considering the known production constraints of Mitsubishi, it looks that it is sacrificing its home market to benefit others abroad, and with the year end sales peak coming soon, it wouldn't be much of a surprise such decision. The rest of the models are in cruise speed, with the big question mark being Tesla, how will consumers react to it? Looking at the brands ranking, after a tight race throughout the year, Nissan (44%) has finally left Mitsubishi (38%) behind, and with the addition of the e-NV200 coming soon, things can only get better, in order to recover the Best Selling Manufacturer Title won in 2011 (Mitsubishi won it in 2009, 2010 and 2013, while Toyota had it in 2012). With some 8.829 units sold in October, the European EV market was 23% above October '13, scoring the third best result of the year, after September (10.212 units) and March (9.690). Looking at the monthly models ranking, the leader Outlander PHEV continues to dominate the chart, selling again more than 2.000 units, while the runner-up this time was the Renault Zoe, with 1.320 sales, repeating the Second Spot of August '13, at that time with just 507 units. The Nissan Leaf was #3 with 1.209 units, being the first time it scores five consecutive months selling in the four-digit area, in #4 we have another regular customer, the BMW i3, with 745 sales, while in #5 we have a surprise, with the Volvo V60 Plug-In registering its best result since last April, by selling 544 units. Speaking of the new goldenboy from BMW, it was #11 last month with 170 units and it jumped to #14 YTD, something to be regarded with respect, considering the type of car it is. And the #13 Prius Plug-In is just 83 units ahead...Oh, and don't forget that it has a one year-plus waiting list, BMW has really struck gold with this one. There were other position changes in the ranking, the VW e-Golf, finally joined the Top 10, rising 2 positions to #9, the Mitsu I-Miev was up one position, just like their french cousin, the Peugeot iOn up 1, which changed positions with the Opel Ampera, losing another place on the road to the Great Scrapyard on the Sky. The Kia Soul EV went up one position to #24 and now wants to pass the #23 Peugeot Partner EV in what is left of the year. Below the #30 position, there are a few newcomers looking to feature in this ranking, from the Mercedes offerings (B-Class ED #31 with 44 units and S500 Plug-In #32, with 43), to the Porsche Cayenne Plug-In, #33 with 42 units, 34 of them made last month, already featuring in #21 on the October table, from the look of things, it seams that in the future it will easily outsell its more bourgeois brother, the Panamera Plug-In. Finally, regarding the manufacturers ranking, Mitsubishi is on the high, with 22% share, a strong progression over time for the japanese brand, considering that it ended 2013 with 14% and in 2012 it had just 4%! Nissan shares the second spot with Renault, both with 16%, but while the japanese side of the Alliance has been steady over the years (16% in 2013, 12% in 2012), the french side has lost 20% share since 2012! (27% in 2013, 37% in 2012). Great result for the Italian EV Market, with 237 units sold, the best month since 2012, when the Twizy Fever was spreading across the italian streets, but this time the source for this result doesn't come from Renault, but from its Alliance partner, Nissan, which has registered 93 Leaf's, the best result ever for a non-Twizy highway-capable car. In the YTD ranking, the top places are pretty leveled, with the Nissan Leaf recovering the leadership, followed by the Renault Twizy, only 21 units behind, while the #3 Smart Fortwo ED still has to keep an eye on the #4 BMW i3 to prevent any surprises. 142 ev's were sold last month in Belgium, another average month in the 100-something units, keeping the EV Share at 0,41%. 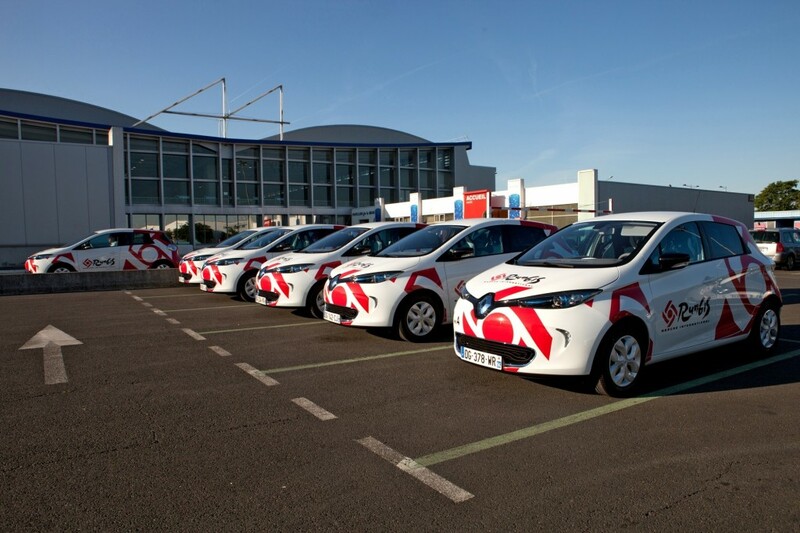 Looking at the monthly models ranking, the Renault Zoe came out of nowhere (It had sold just 3 units in the previous month) to win the Best Seller Trophy, the first time it did so, with a record 37 units being sold, does this sudden surge means that Renault is finally selling the car with batteries included? Let's hope so. The BMW i3 was the second best selling car of the month, with 19 units, followed in #3 by the Mitsu Outlander PHEV, with 13 units, and in #4 we have another surprise, with the BMW i8 selling 12 units and jumping one position on the YTD table to #13, switching positions with the runnout-mode Opel Ampera. Speaking of the YTD chart, the VW e-Golf jumped two positions to #10 and it's now looking to overcome its smaller brother, the e-Up!, and reach #9 before the year end. Finally, two new additions to the ranking, the Audi A3 e-Tron had a good landing month, registering nine units, while the Porsche Cayenne S E-Hybrid (Aka Plug-In), made its first 4 sales and it is looking in 2015 to join the Panamera in the front positions. 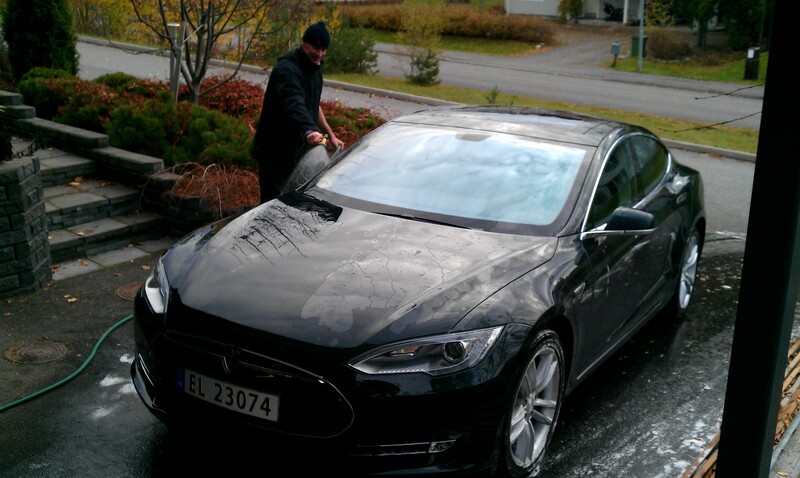 With one month delay, we have the numbers from Finland, with 37 plug-ins sold and 308 units YTD (0,35% EV Share), this small market is doubling sales regarding last year, this growth exists despite some plug-in friendly brands being absent, like Renault or BMW, by the way, does anybody know why this is happening? The Nissan Leaf made a Personal Best in September, selling 15 units and performing a surprising Best Seller title in September, ahead of the new poster-boy of this market, the 4x4 Mitsu Outlander PHEV, which has almost double the sales of the #2 YTD, the Model S from Tesla, which is counting with the AWD versions coming next year to have a say in the leadership race. The other AWD Plug-In, the Volvo V60 Plug-In is #4, with 12% share, which together with the 36% of the japanese SUV, make 48% of the market with Four Wheel Drive, something that leaves promising signs for the PHEV Cayenne and Volvo XC90, or the AWD Teslas.